After the crazy pace of Fashion Week, I was amazed at the toll the late nights, stale hotel air and dehydration took on my skin. I needed a skin intervention stat! 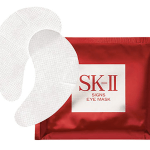 Thankfully, I was given the opportunity to try the new SK-ll Skin Signature Melting Rich Cream, with concentrated ingredients that provide intense hydration up to twelve hours. Yes, please. 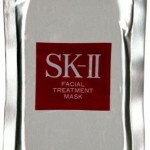 SK-II Skin Signature Melting Rich Cream uses innovative technology to “melt-penetrate-and-wrap”. The product is packaged in solid form and is fragrance-free, which I love. My routine is to sweep the applicator over the solid cream to gather a pea-size amount and place on the palm of my hand. I then rub my palms together to “melt” the cream and then press into my skin. 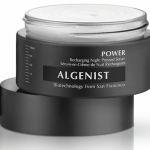 The cream penetrates easily, leaving it soft and supple without feeling heavy or greasy. Once applied, Skin Signature Melting Rich Cream creates a veil on the skin for long-lasting hydration. I’ve been using Skin Signature Melting Rich Cream nightly and I’ve definitely noticed an improvement in the way my skin feels and looks. It’s softer and feels more hydrated and comfortable, but without any greasiness or breakouts. What I like about is this cream is that it doesn’t feel heavy on your skin–something that is very important to me. 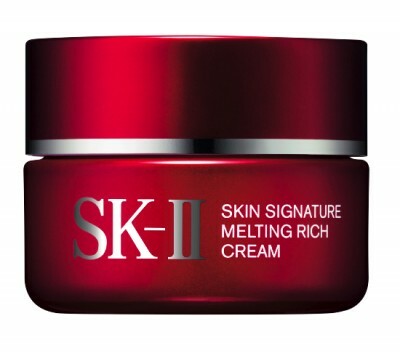 SK-II Skin Signature Melting Rich Cream retails at $250 and is available at SK-ll counters now. 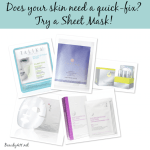 Targeted Skin Treatments with Sheet Masks! Wake-Up Call: New Eye Creams!